1. Palestro G, Turrini F, Pagano M, Chiusa L. Castleman's disease. Adv Clin Path 1993; 3:11-22. 2. Soubrier MJ, Dubost JJ, Sauvezie BJ. POEMS syndrome: a study of 25 cases and a review of the literature. French Study Group on POEMS Syndrome. Am J Med 1994; 97:543-553. 3. 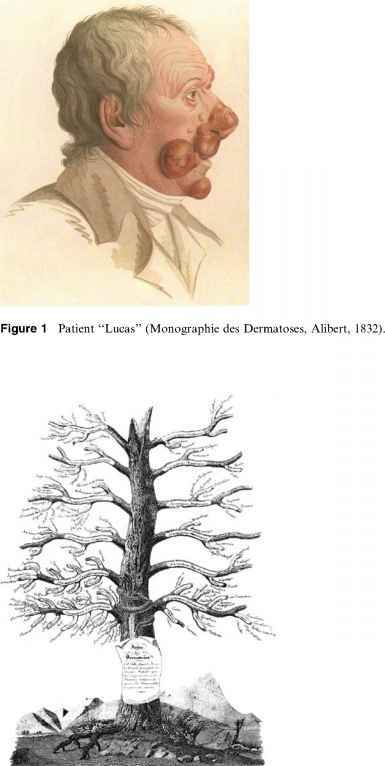 Weichenthal M, Stemm AV, Ramsauer J, Mensing H, Feller AC, Meigel W. POEMS syndrome: cicatricial alopecia as an unusual cutaneous manifestation associated with an underlying plasmacytoma. J Am Acad Dermatol 1999; 40:808-812. 4. Kubota Y, Noto S, Takakuwa T, Tadokoro M, Mizoguchi M. Skin involvement in giant lymph node hyperplasia (Castleman's disease). J Am Acad Dermatol 1993; 29:778-780. 5. Skelton HG, Smith KJ. Extranodal multicentric Castleman's disease with cutaneous involvement. Mod Pathol 1998; 11:983-989. 6. Sleater J, Mullins D. Subcutaneous Castleman's disease of the wrist. Am J Dermato-pathol 1995; 17:174-178. 7. Kingsmore SF, Silva OE, Hall BD, Sheldon EA, Cripe LD, St Clair EW. Presentation of multicentric Castleman's disease with sicca syndrome, cardiomyopathy, palmar and plantar rash. J Rheumatol 1993; 20:1588-1591. 8. Wolff H, Kunte C, Messer G, Rappersberger K, Held E, Lohrs U, Plewig G, Meurer M. Paraneoplastic pemphigus with fatal pulmonary involvement in a woman with a mesen-teric Castleman tumour. Br J Dermatol 1999; 140:313-316. 9. Kazakov DV, Fanburg-Smith JC, Suster S, Neuhauster TS, Palmedo G, Zamecnik M, Kempf W, Michal M. Castleman disease of the subcutis and underlying skeletal muscle: report of 6 cases. Am J Surg Pathol 2004; 28:569-777. 10. Menke DM, Tiemann M, Camoriano JK, Chang SF, Madan A, Chow M, Habermann TM, Parwaresch R. Diagnosis of Castleman's disease by identification of an immuno-phenotypically aberrant population of mantle zone B lymphocytes in paraffin-embedded lymph node biopsies. Am J Clin Pathol 1996; 105:268-276. 11. Chan JK, Fletcher CD, Nayler SJ, Cooper K. Follicular dendritic cell sarcoma. Clinico-pathologic analysis of 17 cases suggesting a malignant potential higher than currently recognized. Cancer 1997; 79:294-313. 12. Chan AC, Chan KW, Chan JK, Au WY, Ho WK, Ng WM. Development of follicular dendritic cell sarcoma in hyaline-vascular Castleman's disease of the nasopharynx: tracing its evolution by sequential biopsies. Histopathology 2001; 38:510-518. 13. Kinney MC, Hummell DS, Villiger PM, Hourigan A, Rollins-Smith L, Glick AD, Lawton AR. Increased interleukin-6 (IL-6) production in a young child with clinical and pathologic features of multicentric Castleman's disease. J Clin Immunol 1994; 14: 382-390.